When a back tooth has broken or cracked, has more filling than tooth, or has significant decay, a crown is the restoration of choice. A crown is simply a protective cover that rebuilds the tooth and holds it together. In these cases, Dr. Savardi and Dr. DeLopez often use Zirconia, Porcelain to Gold or even All Gold Crowns. An All Gold Crown is the most durable crown, but it is yellow. It is a great option if it won’t be easily seen. One disadvantage of Porcelain to Gold Crowns is that over time, your gums may shrink back, and a dark line may appear at the gum line. Most people don’t ever notice it on back teeth. However, if it will be a problem for you, you will need to upgrade to a Zirconia Crown. 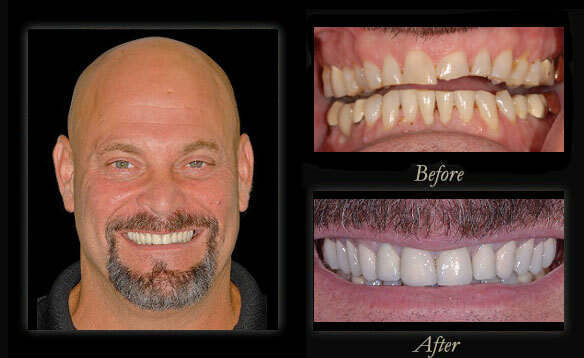 As an alternative, Dr. Savardi uses All Zirconia Crowns as her restoration of choice for molar teeth. Your crowned tooth will look like you have never even had a filling, while keep your tooth structure safe from any bacteria and sensitivity. Dr. Savardi and Dr. DeLopez will help determine the best solution for your needs. Dr. DeLopez, with top-level experience that even allows him to teach other dentists, co-authored an article in Dentistry Today in 2003 with Mr. Rockwell, that presented their technique for “Esthetic Posterior Crowns with Minimum Tooth Reduction” to a readership of over 150,000 dentists. You can trust your crowns to Dr. Savardi and Dr. DeLopez. The emphasis they place on strength, longevity, health, and naturalness is the best way to protect your investment. Contact Dr. Savardi, Dr. DeLopez and their team, to learn about the cost-effective options available – to get the most out of your smile.